School is back in session and that means it’s time for a pop quiz. What is the smartest thing a manufacturing facility can do to save money over the long term? If you chose answer “c,” you are correct. The biggest single cost associated with producing compressed air is the energy required to power the compressor. In fact, compressed air can consume up to 40% of the total energy a facility consumes on an annual basis. 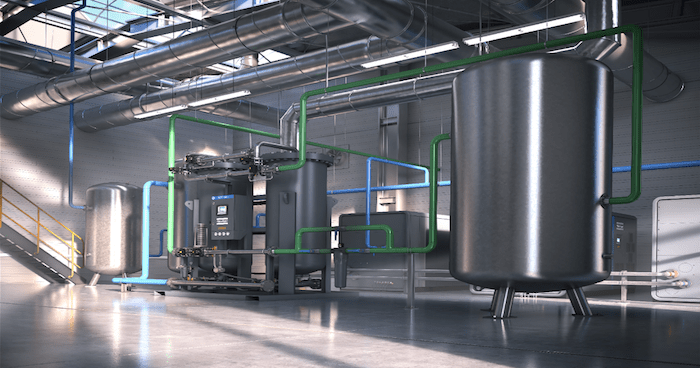 Therefore, maximizing compressed air energy efficiency is the smartest thing a facility can do to save money over the long term. Piping systems more than five years old have been shown to exhibit leaks of up to 25 percent, yet many facilities are slow to upgrade equipment to the latest technology. Even though there is a more efficient choice available, the majority of the manufacturing industry still uses galvanized iron, or “black iron,” for compressed air piping systems. Black iron is very heavy and difficult to install and unfortunately, begins to rust as soon as it is installed, causing leaks in the system. Because couplings and elbows in the black iron system have to be threaded together, finding and fixing leaks involves taking large runs of piping apart. Therefore, fixing leaks in a black iron system becomes a huge undertaking and leaks are often ignored, even though they can cost the largest facilities tens of thousands of dollars every year. Aluminum piping virtually eliminates the corrosion seen in black iron or galvanized steel systems, making it a more efficient choice for piping material. The smooth inner bore allows air to pass through the pipe with less resistance, reducing pressure drops. 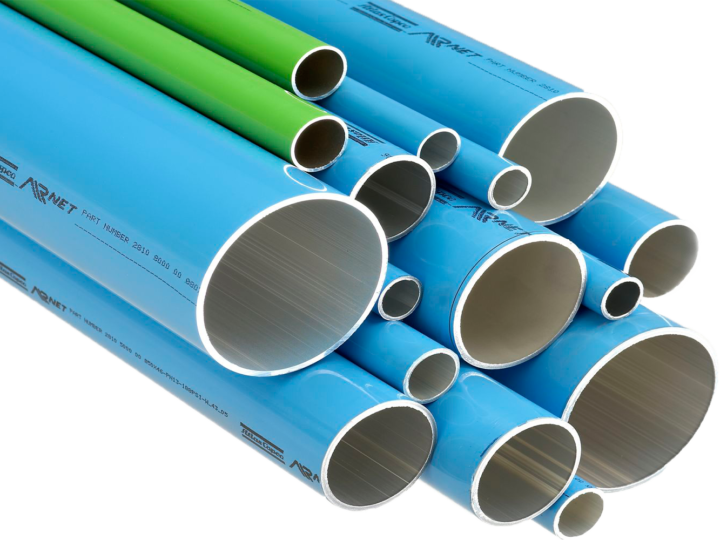 This smooth transfer of air makes aluminum piping more cost effective than black iron at the outset and the energy saving benefits continue over the lifetime of the system. Plus, installation of aluminum piping takes about one-third of the time it takes to install a traditional system. And, due to the significantly lighter weight, it is easy to take apart and reconfigure if a facility’s compressed air system grows or changes over time. 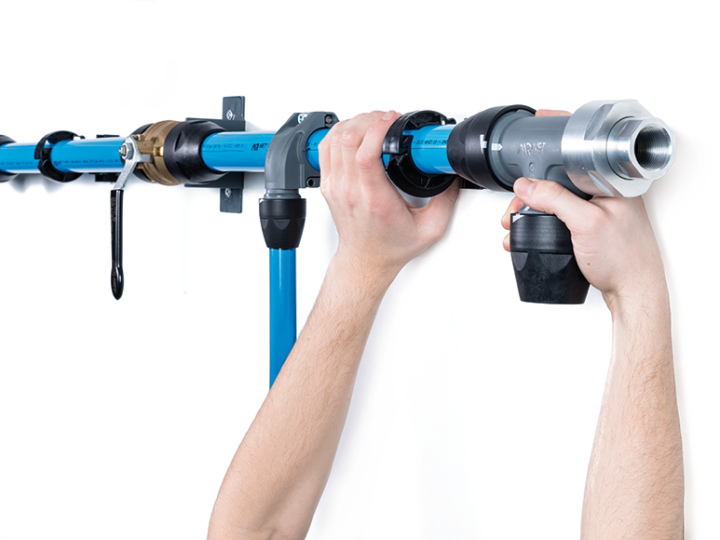 The optimization of compressed air piping goes beyond just the material used for the piping system. Undersized or oversized piping, poorly configured systems or clogged filters can create significant artificial demand. Thus, it is important to resist the urge to turn up pressure to compensate for this demand. Rather, checking the system pressure and identifying and addressing maintenance issues is the smarter, more efficient way to operate. If you’d like to drop the pressure drops in your system, contact us by filling out our Request a Quote form and an Atlas Copco representative will be in touch with you shortly. How well do you know your compressed air costs? Does piping connection material impact performance?